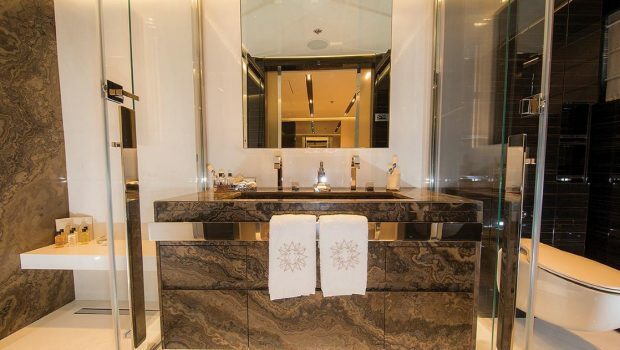 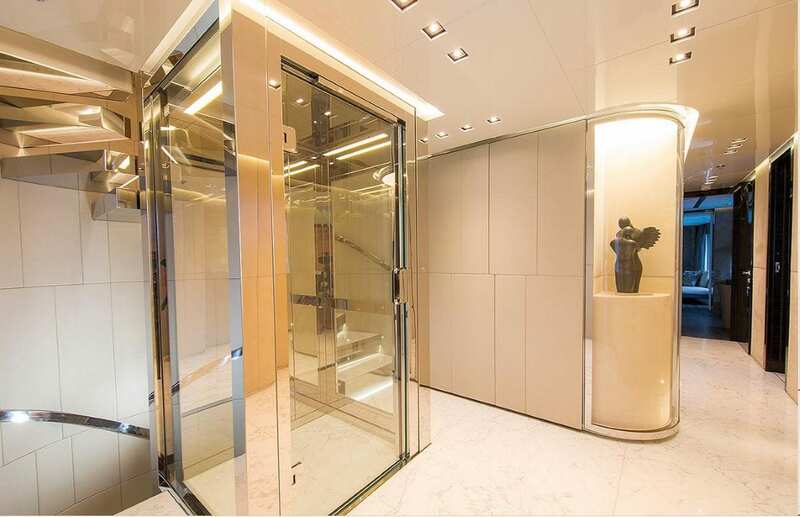 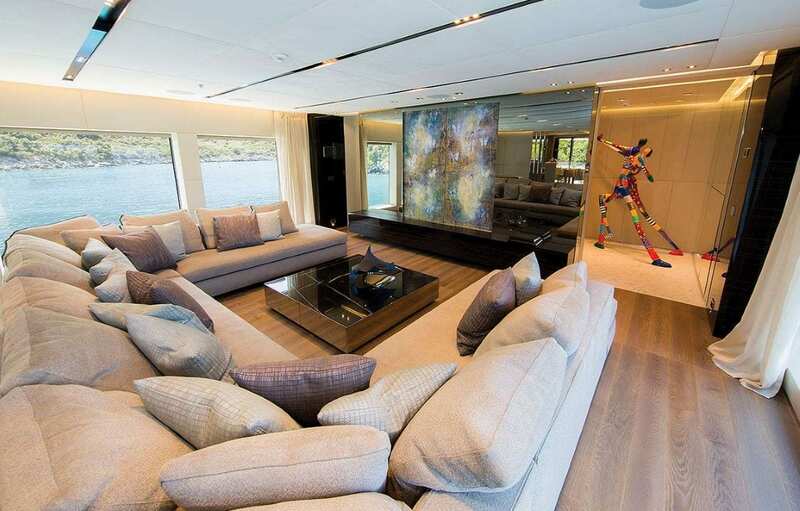 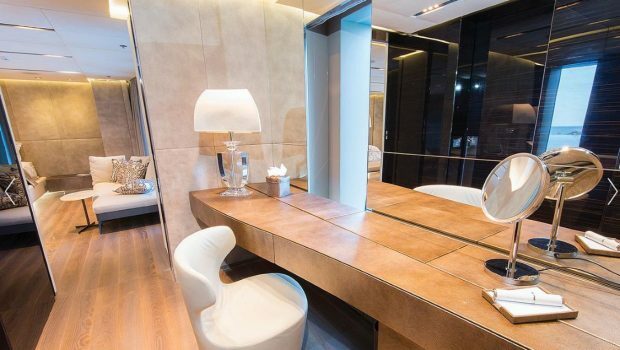 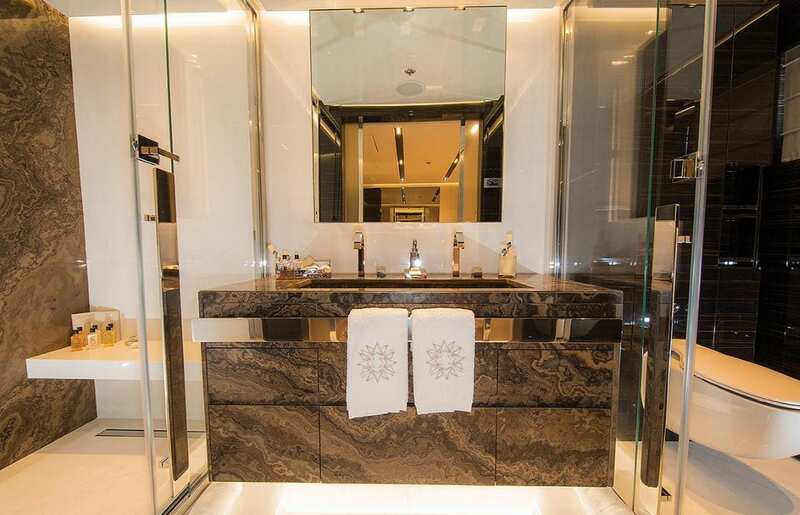 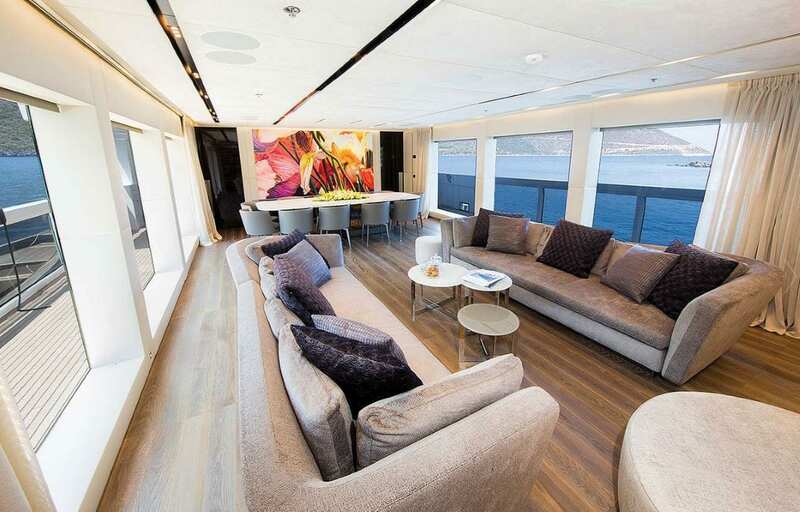 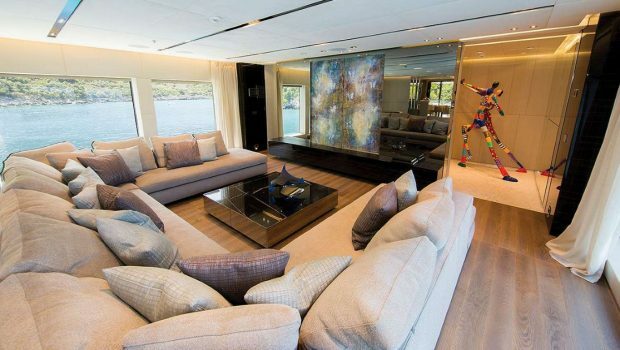 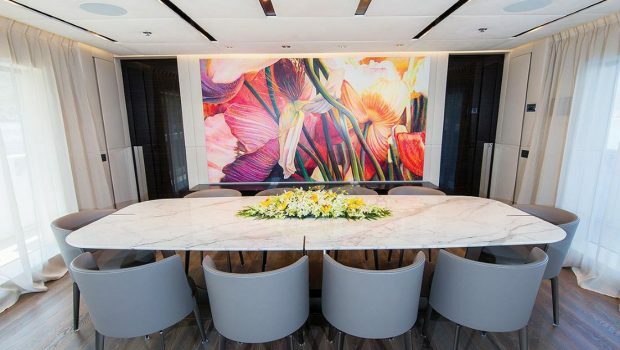 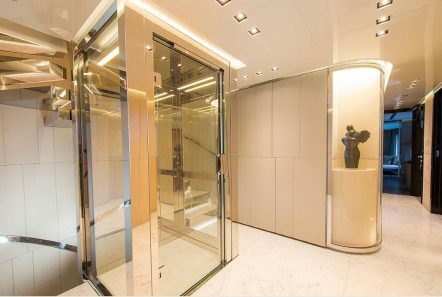 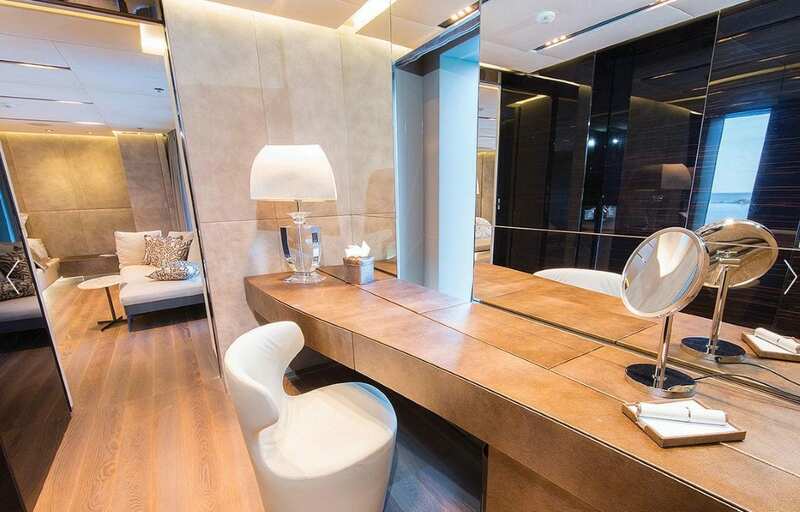 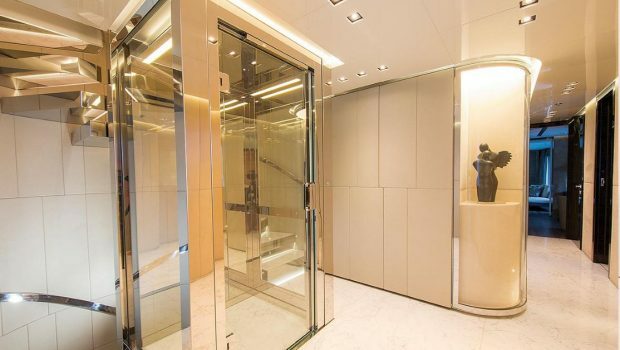 Her sleek design and state-of-the-art interior decor render her a major head turner. 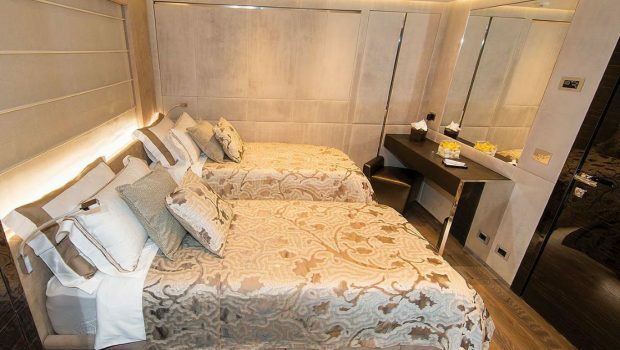 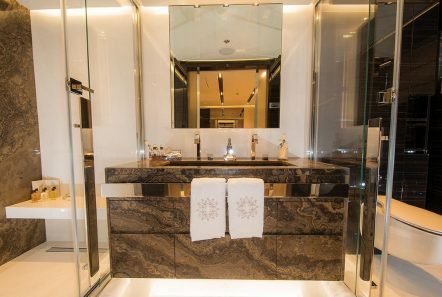 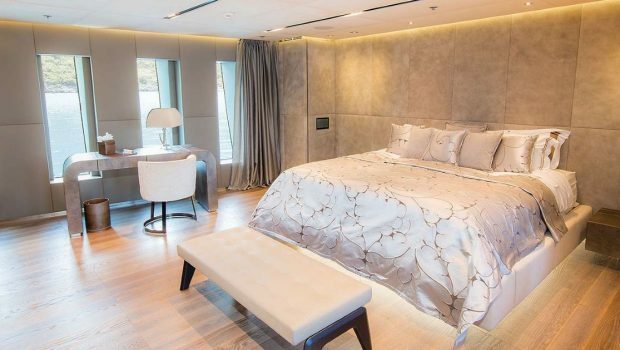 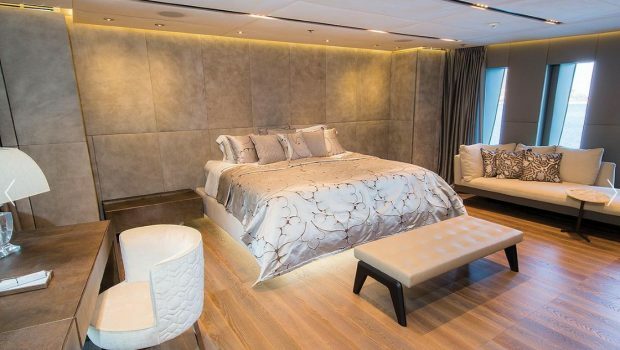 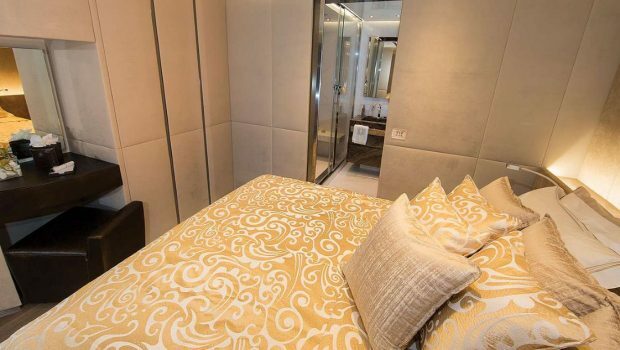 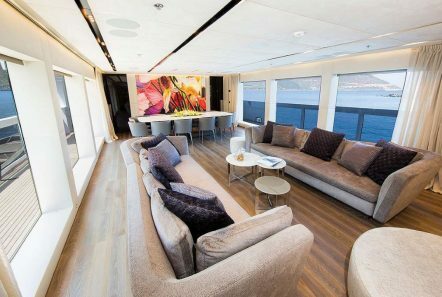 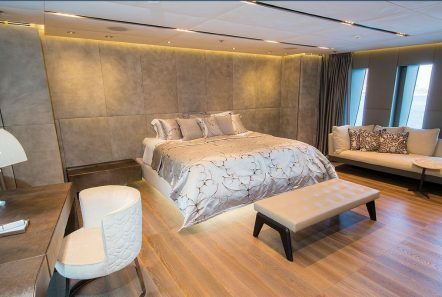 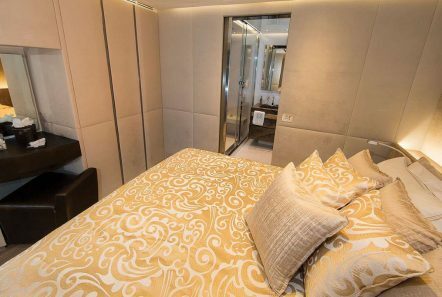 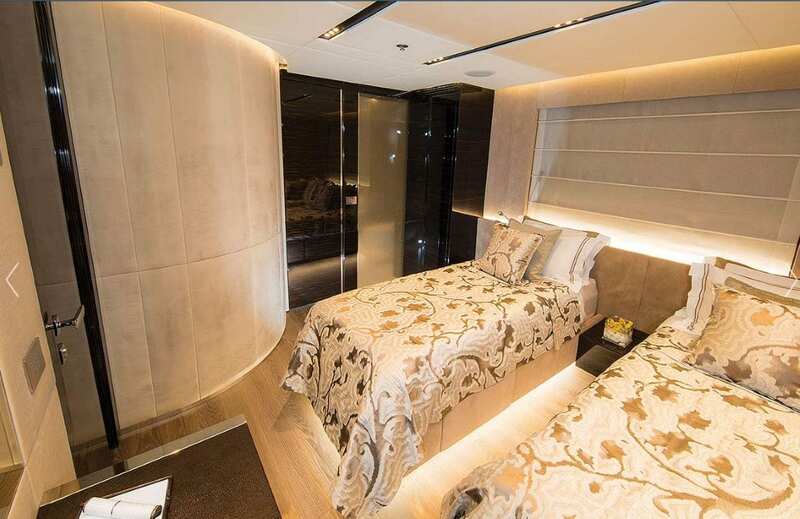 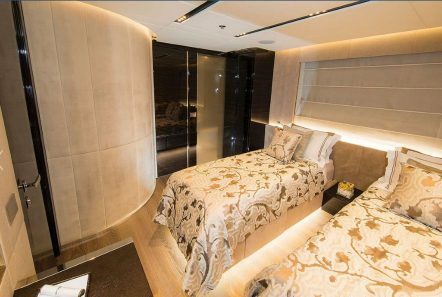 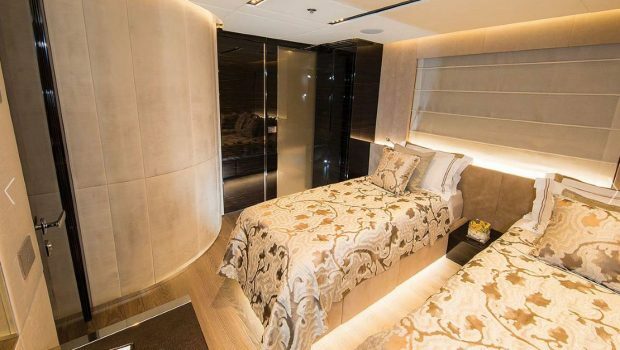 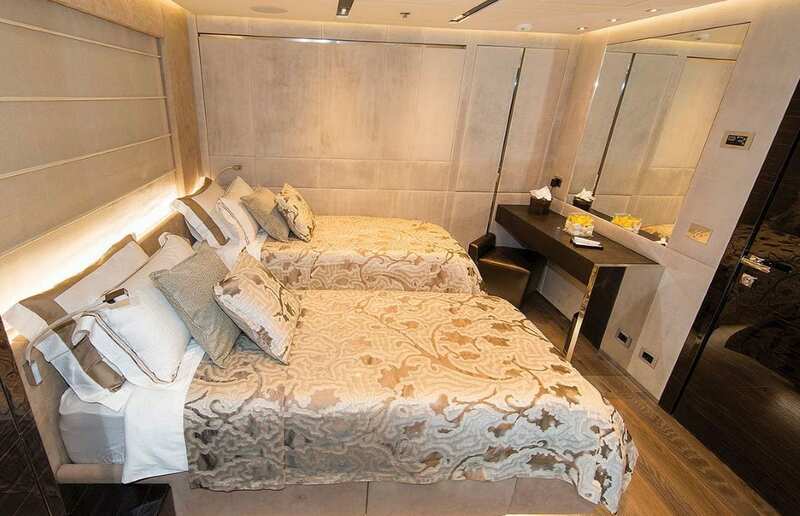 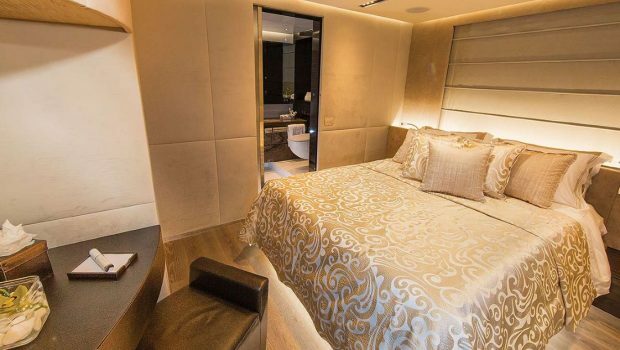 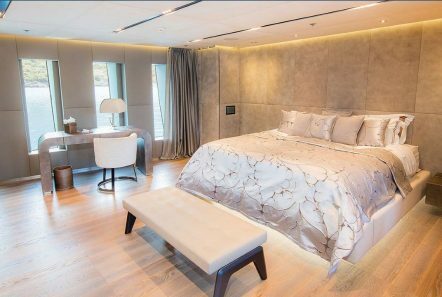 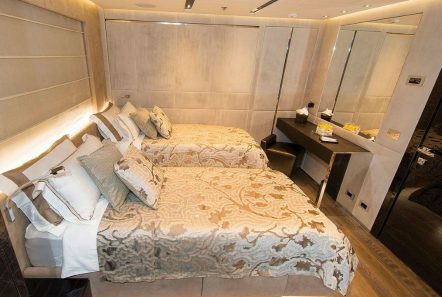 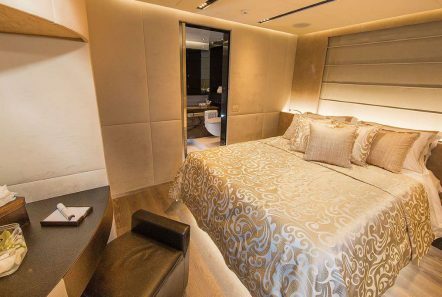 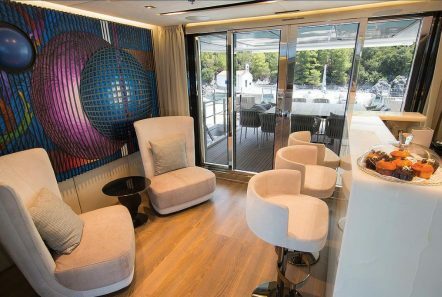 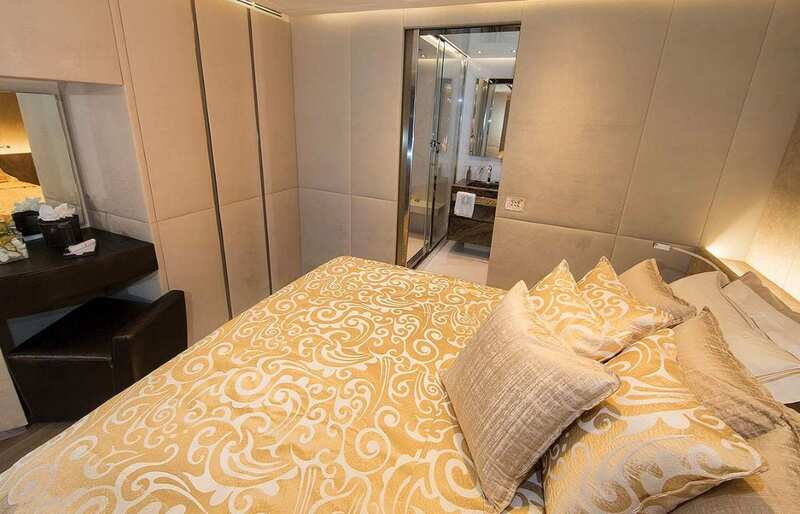 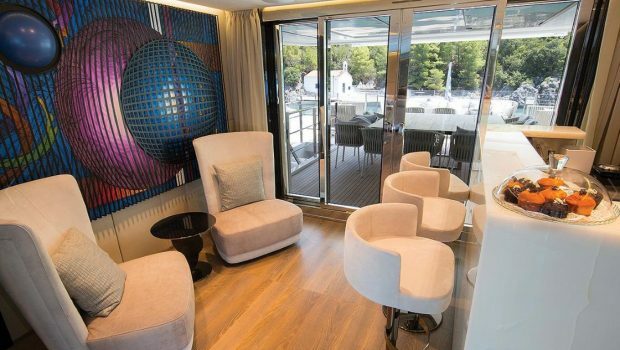 She sleeps up to 12 guests in 6 staterooms, including a master suite, 3 double cabins and 2 2 twin cabins all with ensuite facilities. 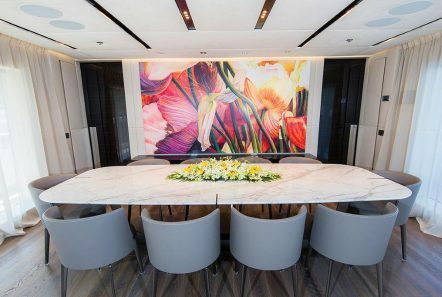 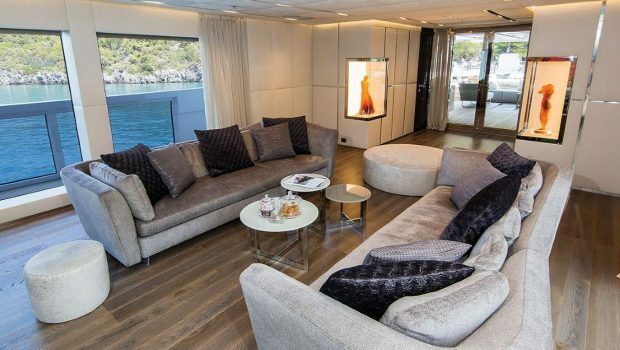 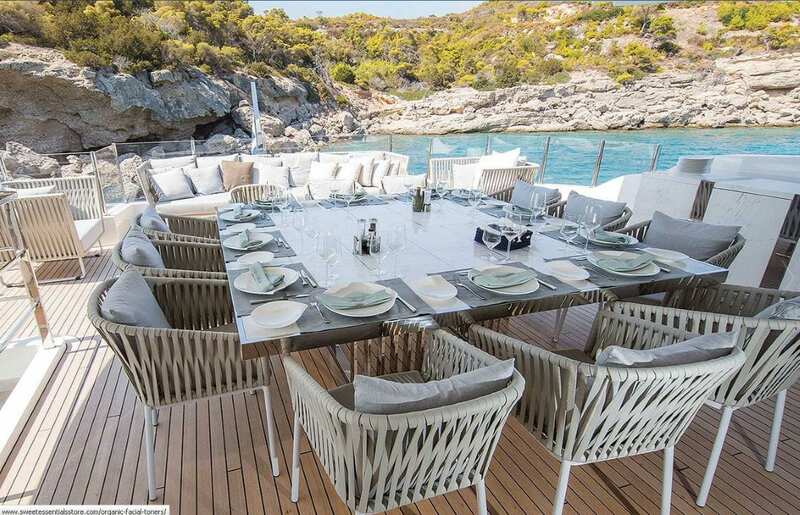 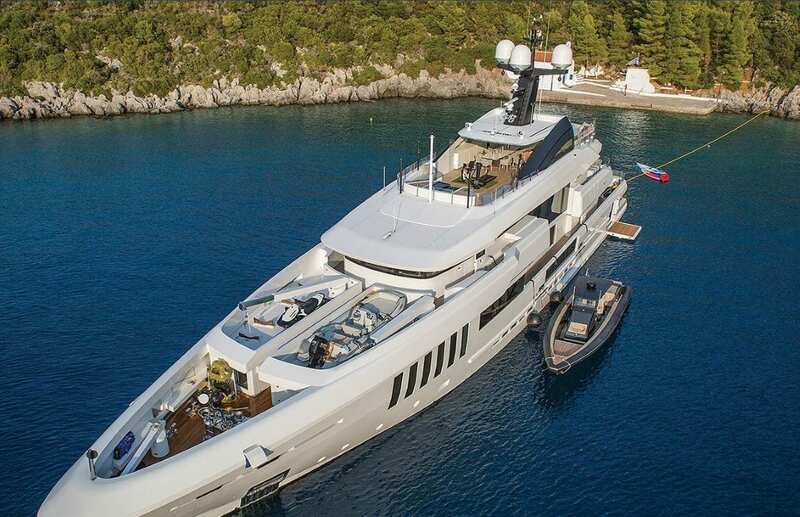 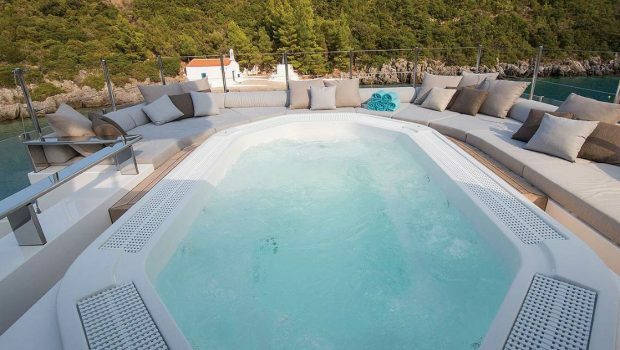 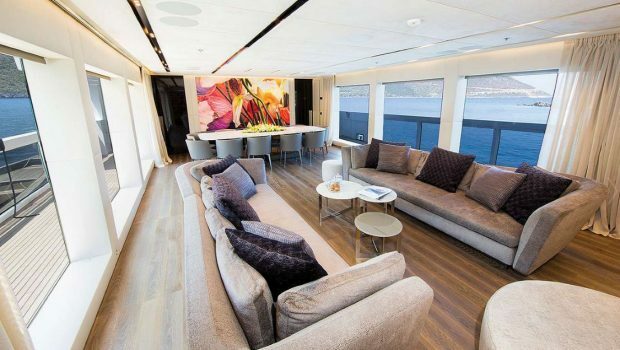 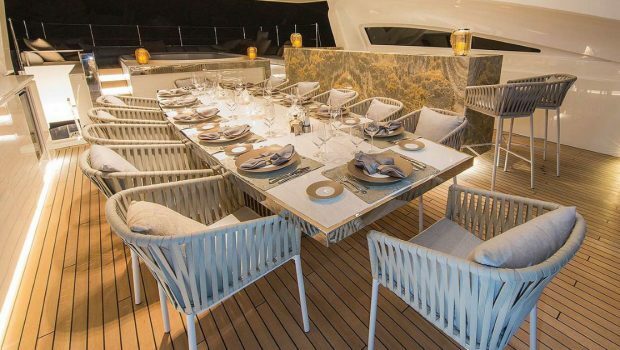 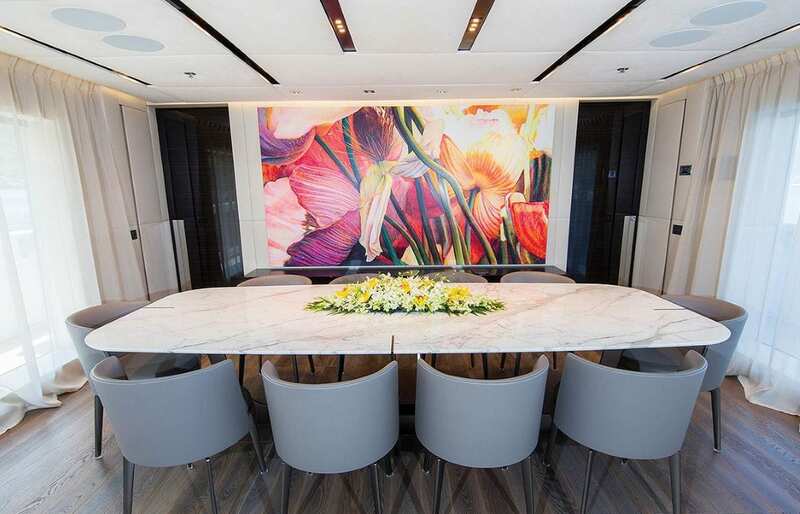 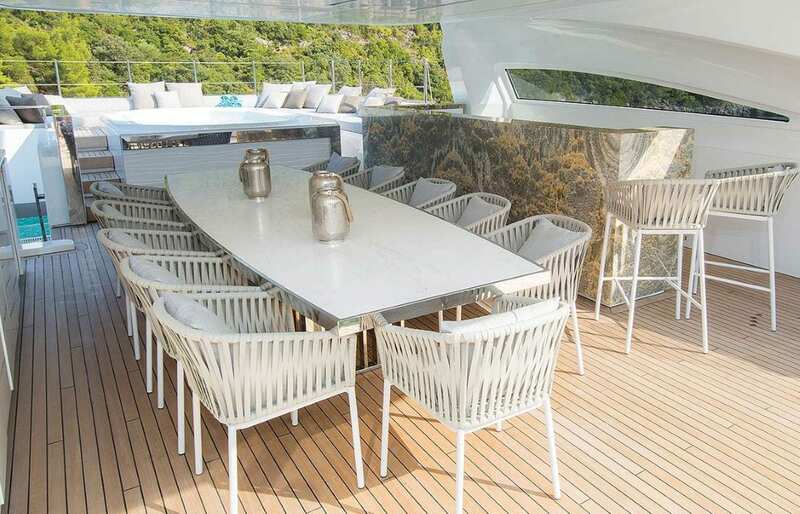 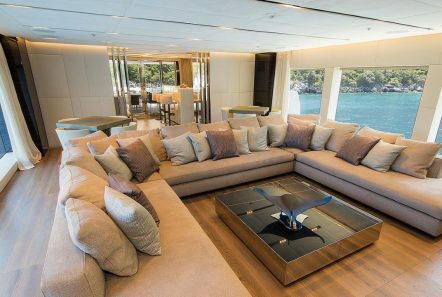 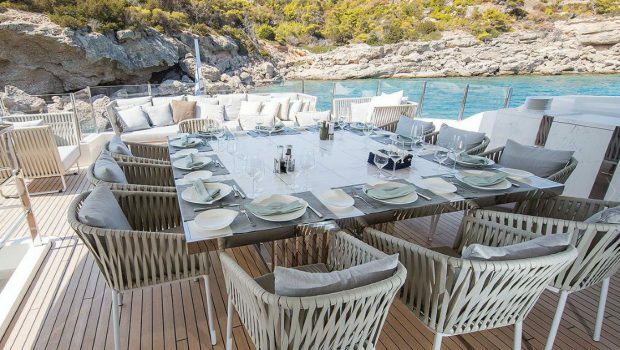 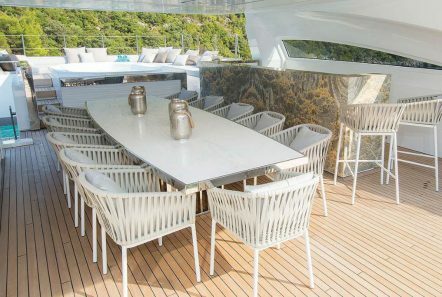 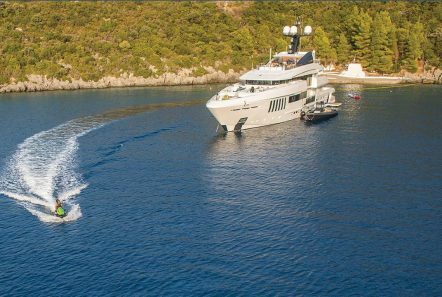 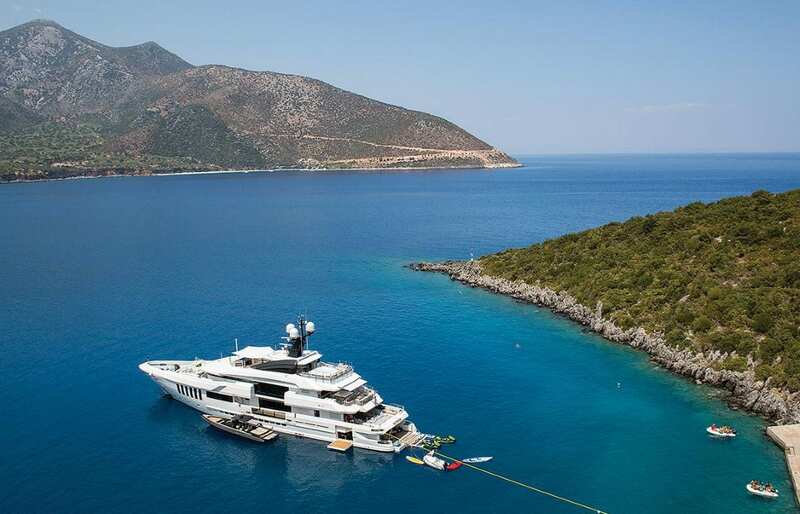 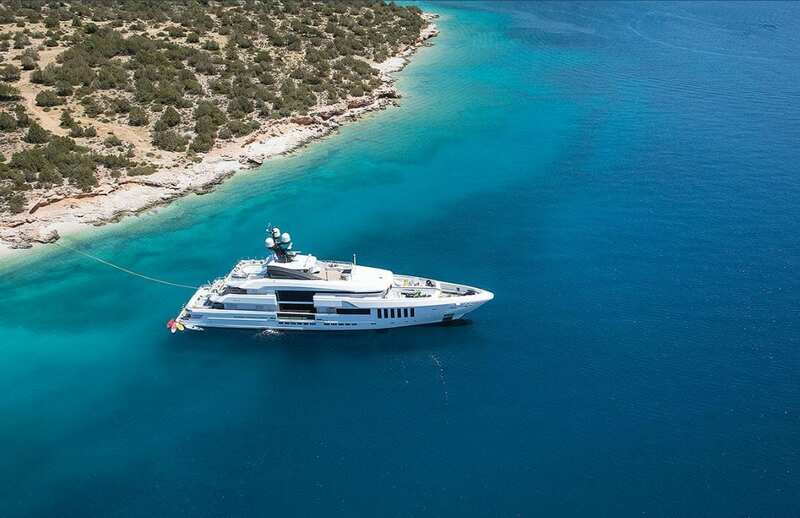 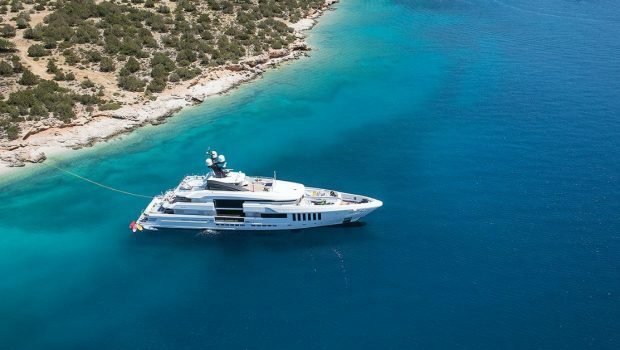 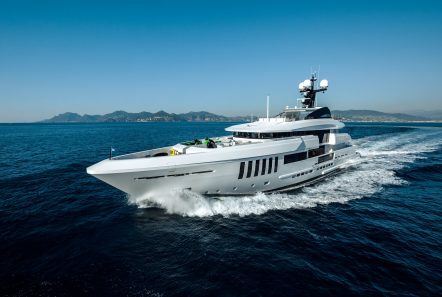 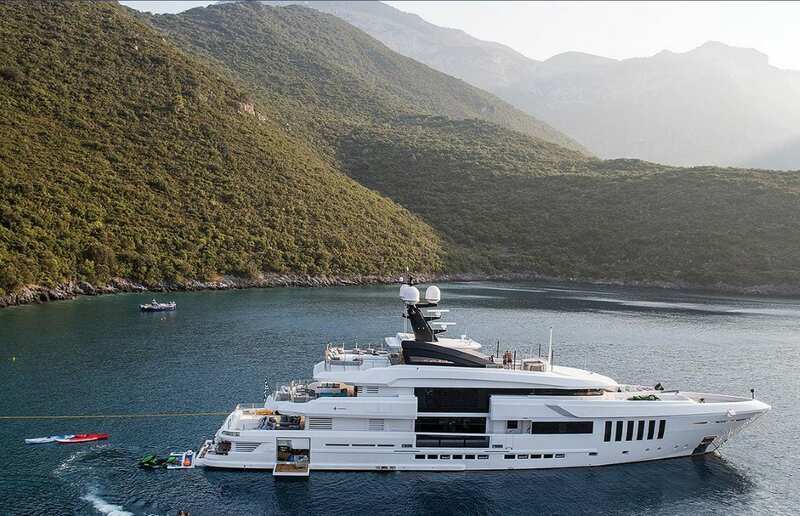 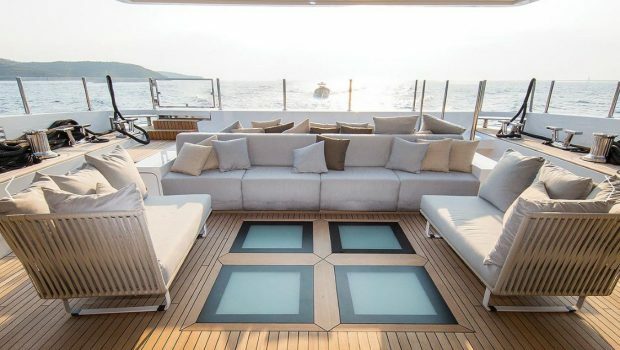 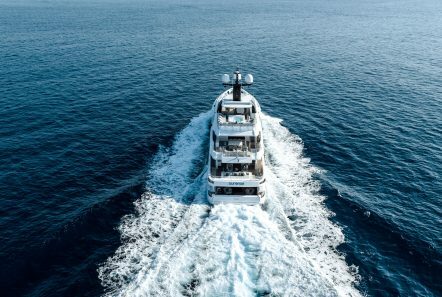 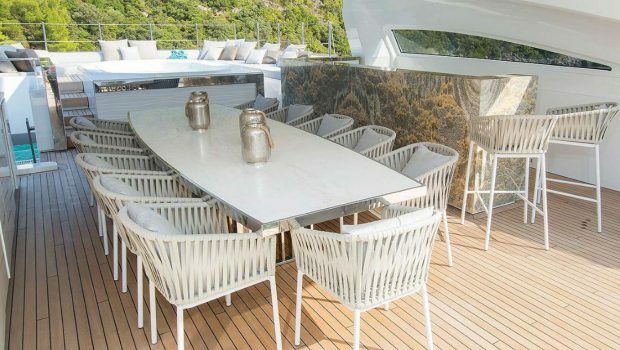 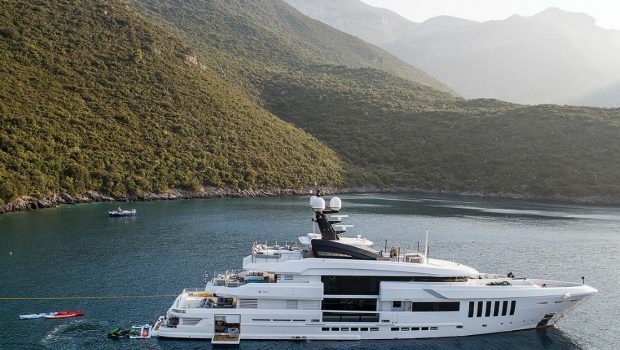 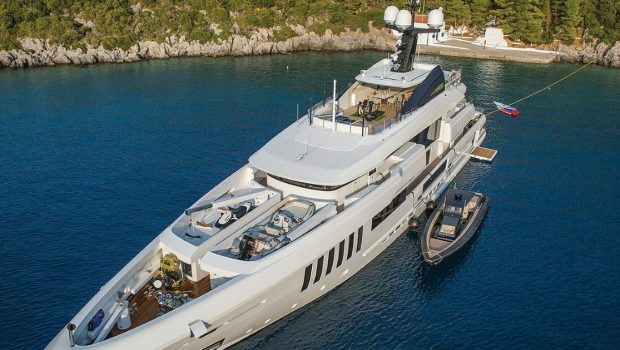 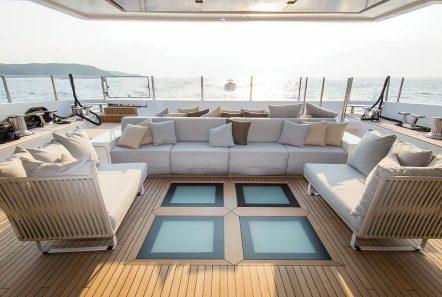 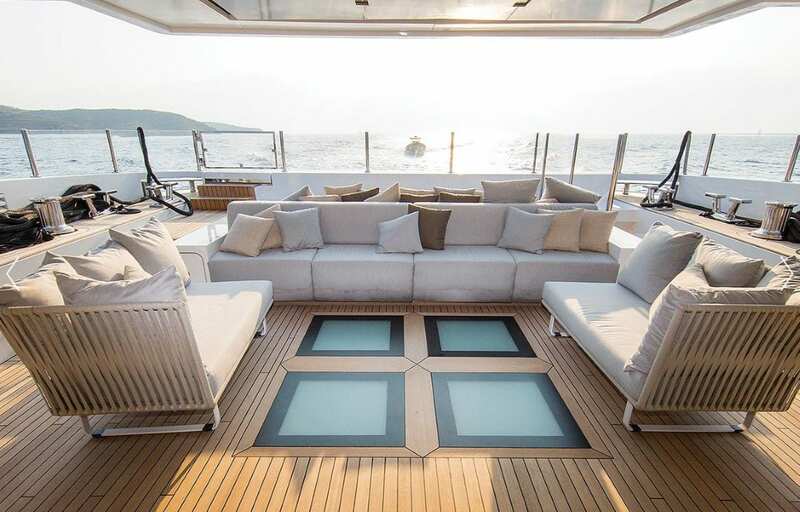 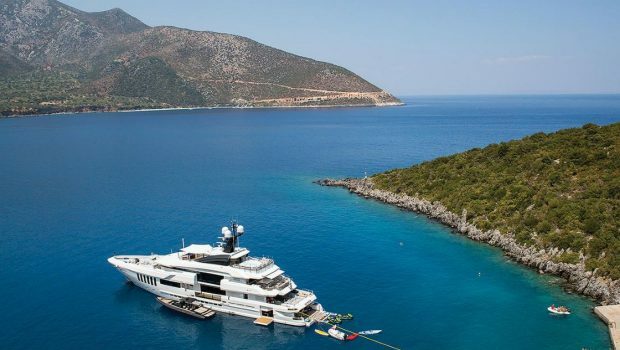 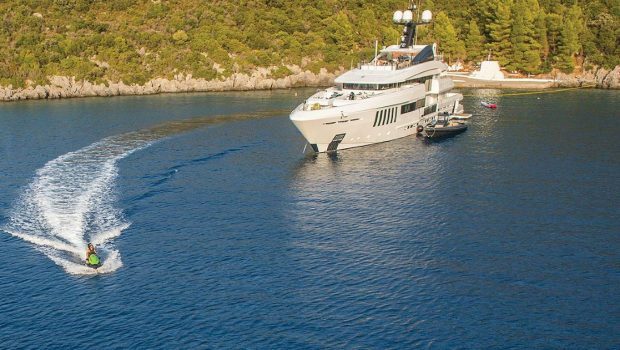 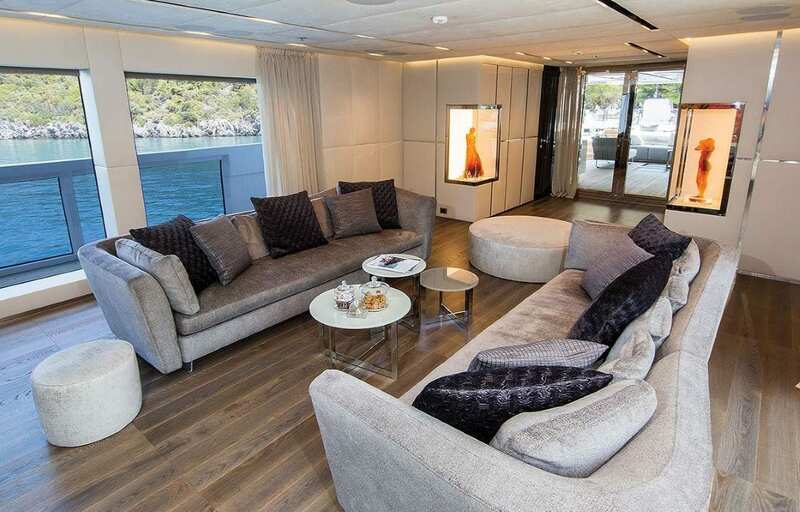 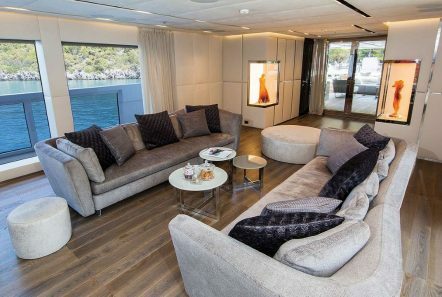 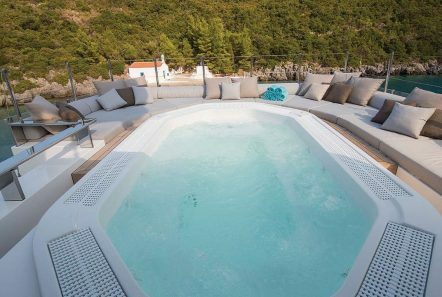 Featuring a unique sundeck that may be closed off during cruising, a 12-seater jacuzzi mini pool and a full-beam beach club with equipped gym, Ouranos is the ideal mega charter yacht for socializing and entertaining. 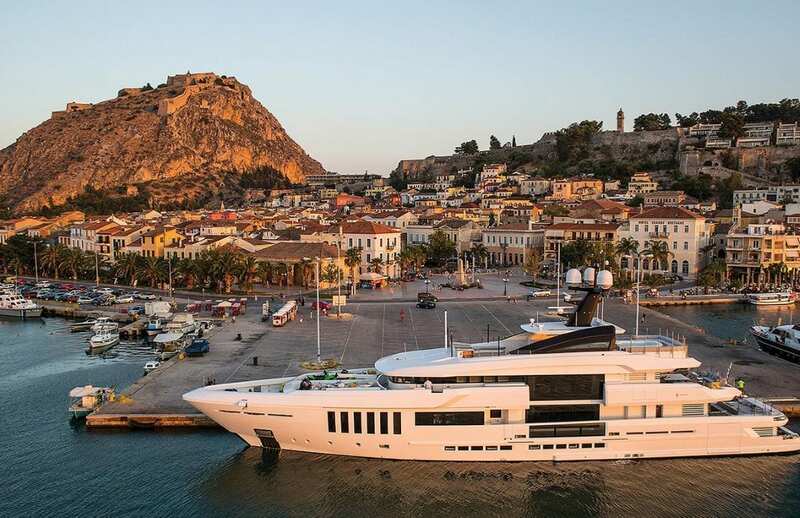 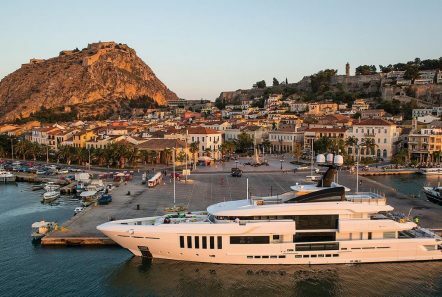 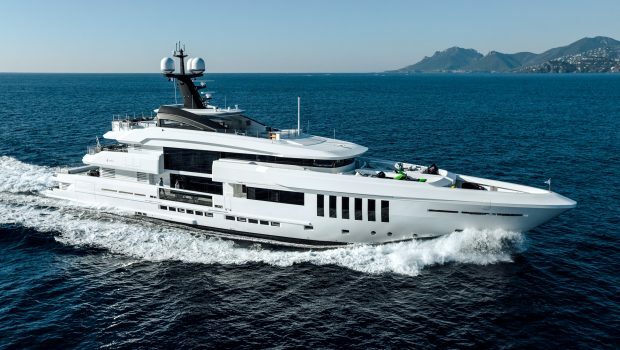 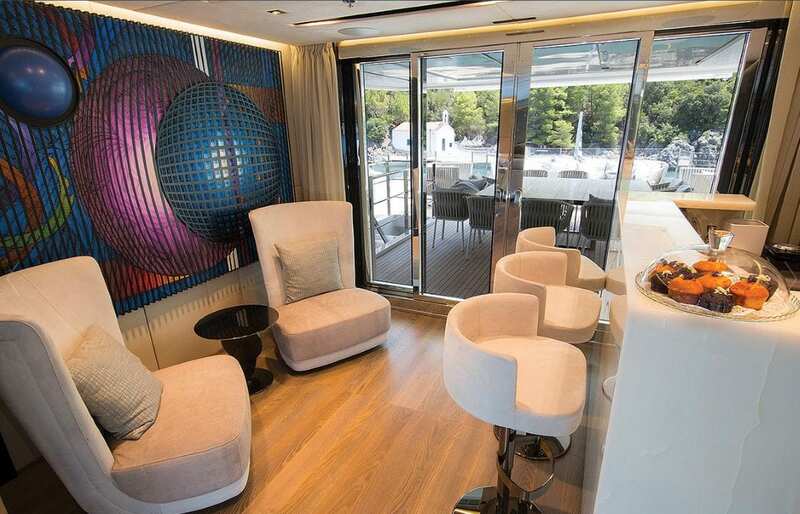 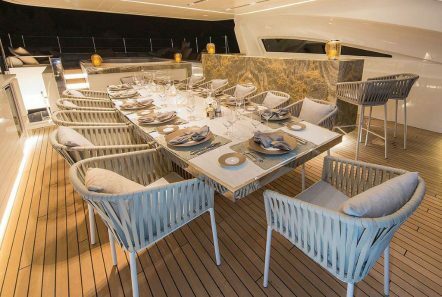 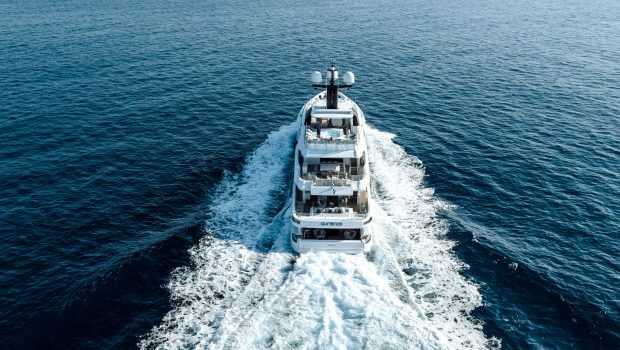 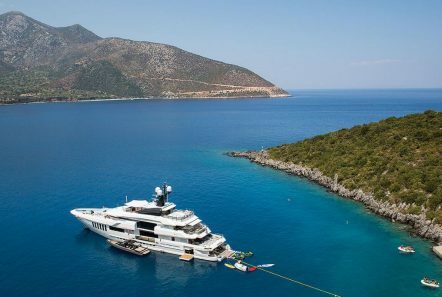 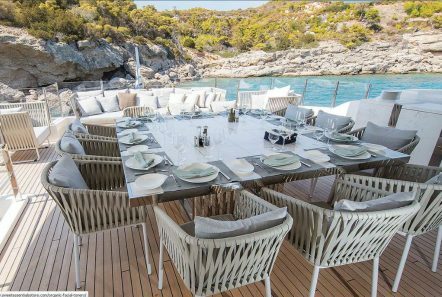 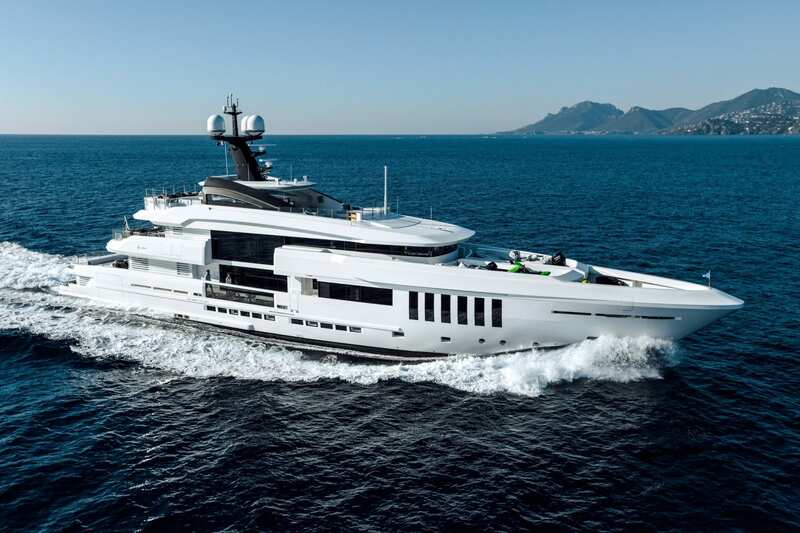 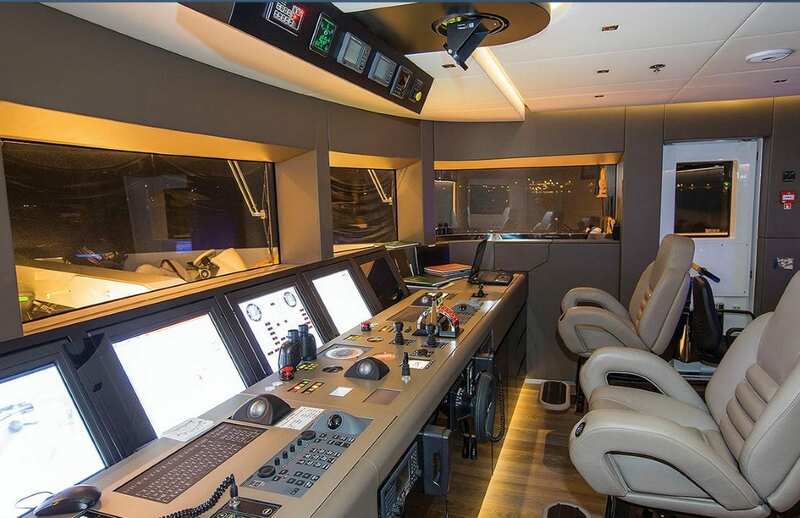 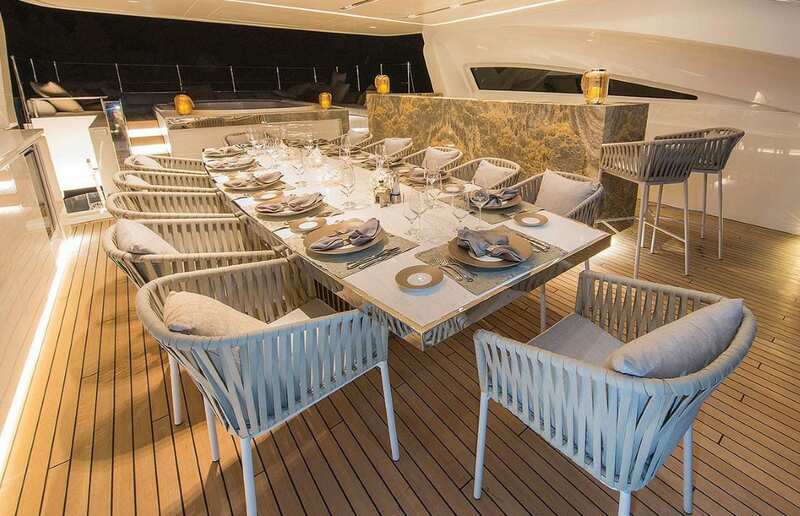 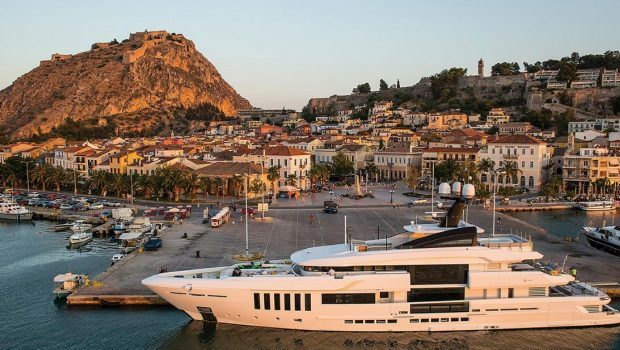 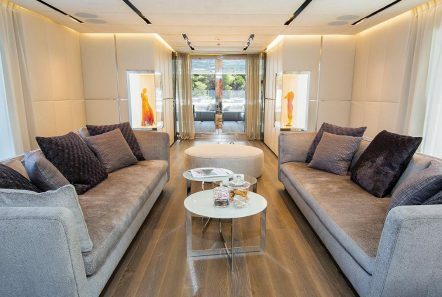 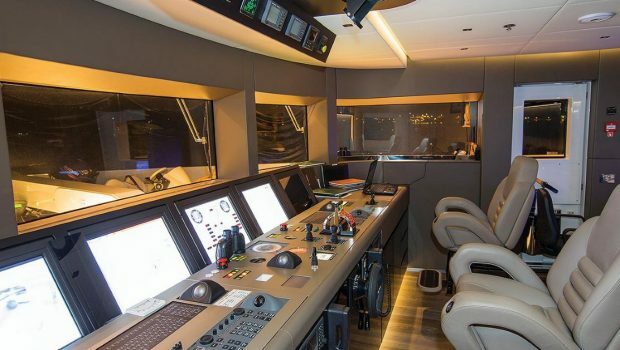 *Following her predecessor’s example, Ouranos enters its inaugural season as the most competitively priced tri-deck in the market.